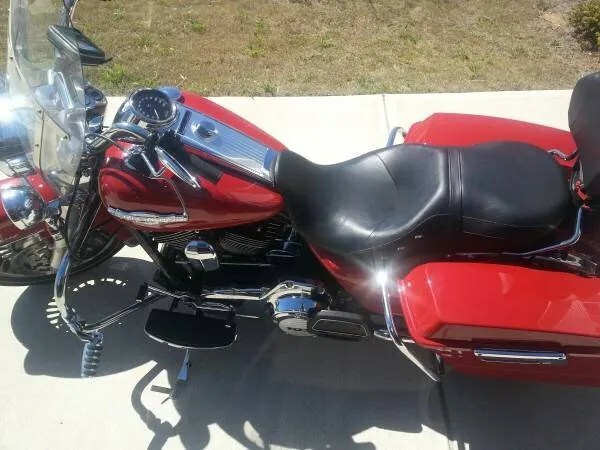 I’m helping out a Raleigh area police officer friend get some additional exposure about his very nice looking Firefighter Harley 2013 HD Road King FLHR he needs to sell. 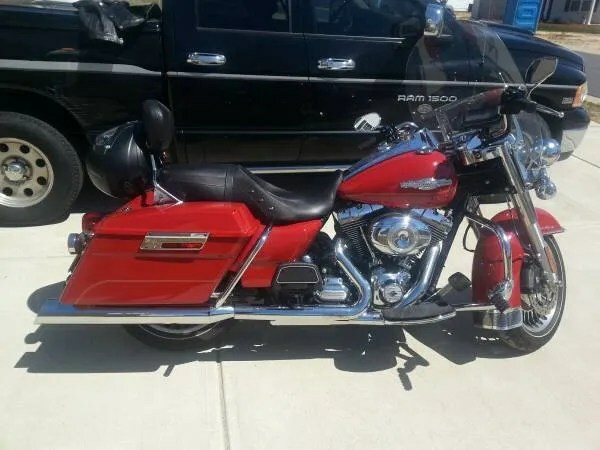 As you will read, there is a very good reason for the sale and he’s only asking $16,500 for it. If you are interested, please contact the owner at redwhiteandbraves@gmail.com or call or text at 919-215-7418. You can also help out by sharing a link to this post on Facebook or other social media platform. This is an amazing bike. It runs perfect. I recently changed the stock exhaust muffler to a Klock Werks muffler so it sounds great. I bought this bike brand new in January of 2013. It currently has 5,347 miles on it. It’s actually the firefighter special edition. 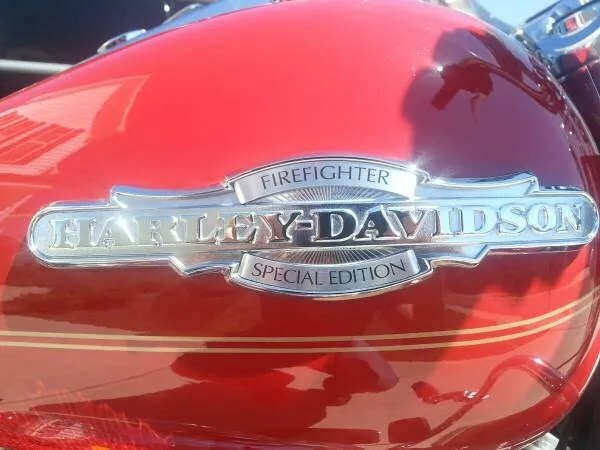 All that really means is the custom color, upgrades (like security and ABS,) and the option to have “Firefighter Special Edition” on the tank. You don’t have to be a firefighter to buy this bike from me. I’m sure you’re wondering “If it’s so great why are you selling it?” Good question. Here’s the deal: A close friend of mine recently passed away. His wife has offered his bike to me and I can’t afford to own them both. 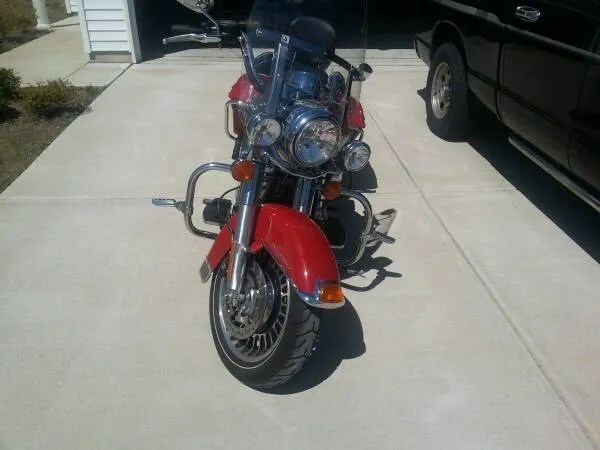 The other bike means a lot so I am willing to part ways with this one. Please call, text, or email if you’re interested. No trades.